On Sunday, New Yorkers got the bad news that metrocards were going up in price again. If my memory serves me, this is the 4th fare hike in 5 years. In addition to the higher fare, we now have to pay $1 if you buy a new card, instead of refilling an old one. That means that taking care of your metrocard is more important than ever! Keeping the card safe from the elements (my huge pocketbook full of stuff) needs to be priority number one! I do have a little plastic sleeve, that has seen better days, so I decided to make something new to keep it dust and scratch-free. I am always looking for uses for the huge pile of old jeans stacked in my apartment, so a denim metrocard holder is what I decided to make. 1. Measure the metro card, and cut out two pieces of denim slightly larger to account for seam allowance. 2. Place the right sides together and pin them in place. Sew around the perimeter of three sides, leaving the top open. 3. Trim the excess fabric around the seam, and turn the fabric inside out so that the right sides are on the outside. 4. Cut a piece of stiff paper to size(like a file folder) and slip it inside of the top opening to give the holder a bit of structure. 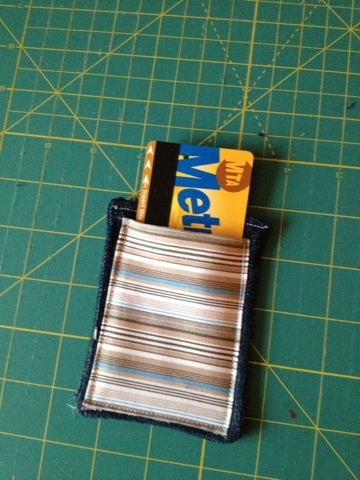 Once you slip in the stiff paper, go ahead and sew up the top of the metrocard holder. 5. 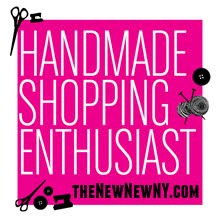 Cut a piece of decorative fabric slightly shorter (length) than the denim square. The width should be the same. 5. Place the fabric on top of the denim square and sew around the three sides, leaving the top open so you can slip the metrocard in the pocket. That's it...quick and easy!